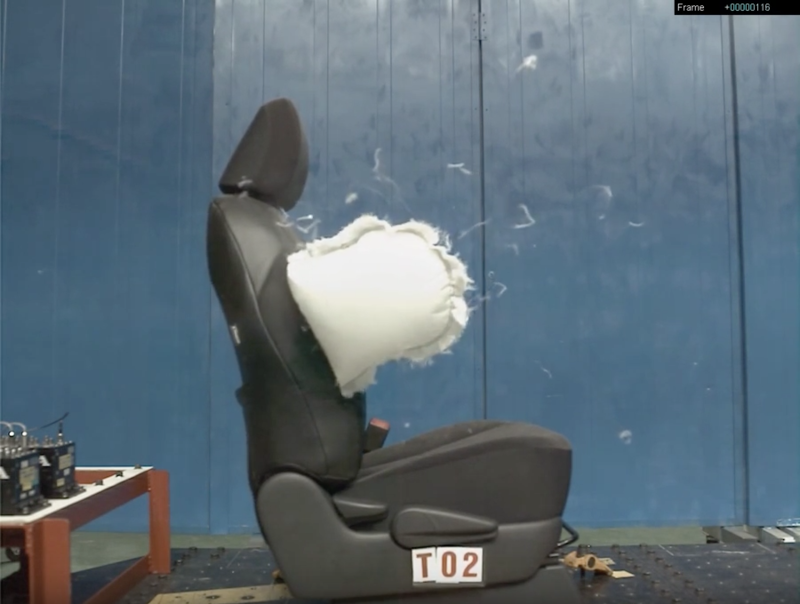 Seat airbags are designed to deploy upon side impact only. In an accident, a sensor usually located at the base of the “B” pillar detects the impact and sends a signal via the SRS control module to the seat airbag. Airbags are usually internally tethered for guidance and reinforced to prevent them from ripping or deviating under the extreme pressures involved in their deployment. At the centre of every airbag is a hybrid gas generator. This is a canister filled with a high-pressure gas and a flammable substance. When an electrical signal reaches the canister, it fires the charge, which, releases the high-pressure gas. Fast release of the gas inflates the airbag. When the airbag is deployed, it breaks out of its holder and bursts through the seat seam. This allows the airbag to inflate fully. This happens within approximately 70/1000 of a second. 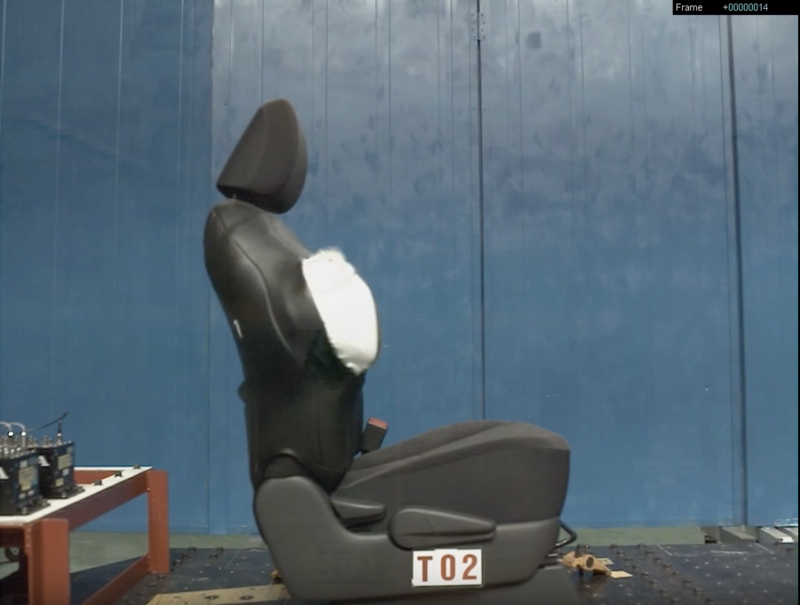 If a seat seam has been altered outside of the manufacturer’s specifications, the airbag could deploy too early, or too late, or, possibly in the wrong position, and it won’t be effective. This means that any work done on seat upholstery must be done by someone who not only understands how airbags work, but also has an in-depth knowledge of the car seat upholstery trade. Cam’s Leather Seats have more than 20 years of experience in car upholstery and automotive seating safety. Through extensive testing we know, that every vehicle model needs to have a different thread combination, stitch length & tension. Our airbag seams are sewn using data from comparative tests that provide the same tensile strength of the original factory seams. This information is used to select the correct thread combination. The data is recorded on a tag that is sewn into the airbag seam. 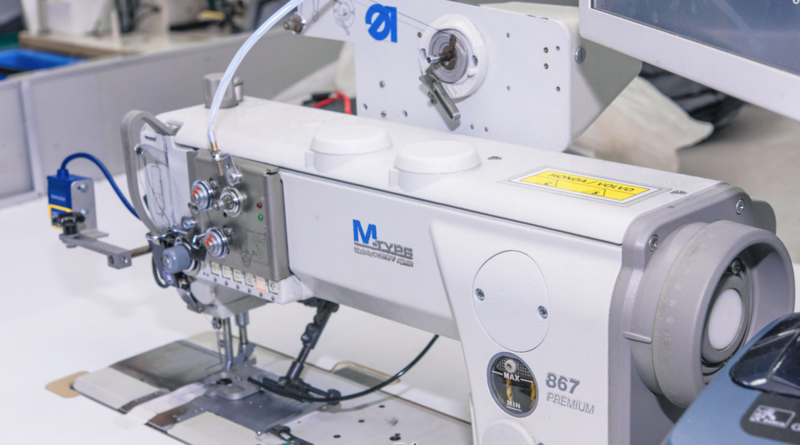 Each seam has a unique serial number that can be traced, if necessary, to reveal all the information about the seam & ensures accountability. 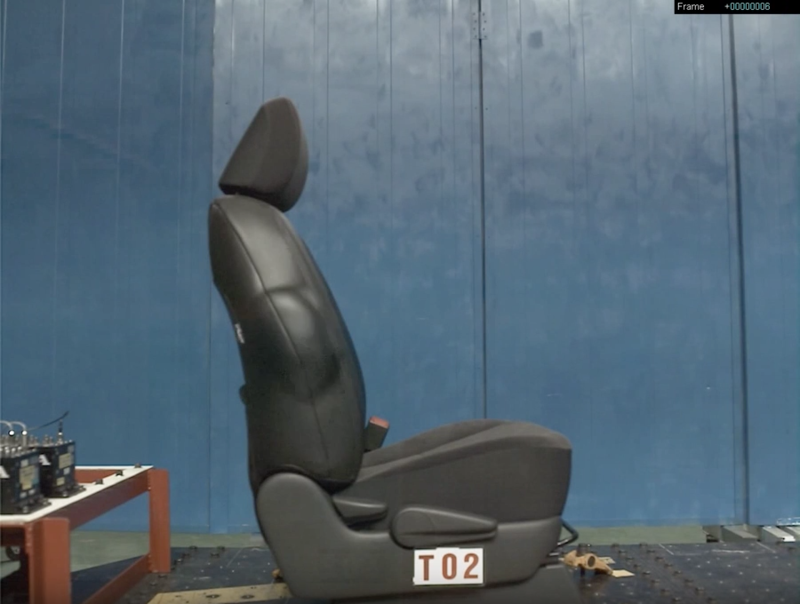 As a major Australian car upholstery market leader, Cam’s Leather Seats has an extensive list of most models’ static test results, which allows us to replace airbag seams with the assurance that the seams will deploy as intended by the manufacturer. ​The airbag deployment is filmed using an ultra-high speed ballistics style camera with which confirms comparative test results. The camera allows us to show the airbag deploying within the time frame specified in factory test results. All our tests that the results of static comparative tests done on our seams measure up to those achieved in factory testing of original seams. As we strive to maintain our high standards of safety and quality, we continue to investigate and implement the latest overseas technology and equipment as soon as it becomes available.